While the Chinese space station was a symbol of innovation and achievement for the country, some mistakes as to how long the station would last caused the space station to spiral out of control, and it will soon come crashing down to Earth. Chinese officials aren’t yet sure where exactly we’ll see the station make contact with Earth. 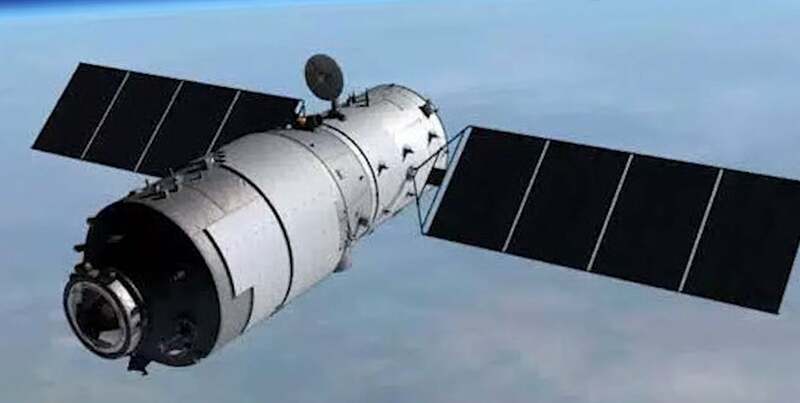 The Chinese space agency launched Tiangong-1 as the “Heavenly Palace” around 2011, but five years afterward it spun out of control. While the launch of the Chinese space station made China the third nation to operate their own space station after the United States and Russia, they’re now dealing with the embarrassing fallout as it plummets back down to Earth. At this point in time, the crashing Chinese space station is flying at an altitude of 150 miles. While it’s currently being tracked by a number of agencies, no one has a solid idea of where it will come in contact with Earth – with just a general idea of the geographic region rather than an area where they’re sure it will hit. It’s important to keep in mind that when the Chinese space station makes contact with Earth, it will be pretty much incinerated. While there’s a small possibility that there will be minor damage to a locale on Earth, it’s far more likely that the small bits of debris that are left following the Chinese space station’s reentry into our atmosphere will fizzle into nothingness. However, on the off chance that there is set to be more damage than expected, there are agencies that are tracking the descent of the “Heavenly Palace” in a fiery crash back down to its humble origins here on Earth. The European Space Agency is currently predicting the descent as happening somewhere between March 27 and April 8, which, while still a large window, is significantly smaller than what we were able to predict previously. As the Chinese space station gets closer and closer to Earth we should be able to give a more solid idea of both location and timing, but there’s still a possibility that it will crash rather unexpectedly. We know that the space station is coming down, we just don’t know when or where. With a current orbit ranging from 43 degrees north to 43 degrees south, there’s a wide range in which it could impact. There are vast areas of North and South America, China, the Middle East, Australia, and parts of Europe where the Chinese space station could scatter debris – but there’s also the possibility that it will make a crash landing into the ocean. An ocean landing would be ideal given the lack of potential to damage any major settlements, but considering the multiple continents over which we could see a crash, there’s still a very real possibility it would impact somewhere on Earth where it could cause at least a bit of damage. Unless China reveals more about what exactly is involved with the construction and descent of the Chinese space station, there’s currently no telling what exactly will happen when it makes contact with Earth. It’s important to avoid any sort of panic, however, as a number of agencies have come forward stating that the damage is not something to get worked up over. As mentioned above, it’s likely that the Chinese space station will be mostly broken up upon reentry and there’s an equally large possibility that it will land in the ocean. Still, it’s important to keep an eye on statements from your local space agency tracking the Tiangong-1 for current updates about this astronomical disaster. While there have been multiple incidents of space disasters in the past due to the difficulties and uncertainties regarding space travel, the crash of the Chinese space station back down to Earth is an occurrence with which we don’t have much experience. Until we get more of a solid confirmation as to when it will crash and where it will crash, all we can do is rely on the windows we’re given and the knowledge that the entry will likely not be nearly as bad as many outlets are reporting.